CT Unlimited offers traditional accounting and bookkeeping services. 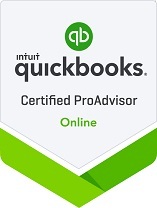 As a QuickBooks certified firm we save you time by handling all the daily financial work for you which will allow you to concentrate on the running and growing your business. Additionally, we have formed strategic alliances with other small businesses and consultants to provide an array of complementary services to our clients. We are proud of our offerings and invite you to contact us to gain an understanding of how we can be of service to you.